Whether you are obliged or you want to move to Florida, you have to face a critical dilemma. To buy or to rent a place that is the question. Besides, when you finally decide what’s best for you, there are some more problems to deal with. You need to choose the county, the city, the right neighborhood and then, finally, the place you want. Understandably, when you decide to buy a house, your responsibility is bigger. This means you have to do a serious research and indeed make the best choice. Start from the things you should know before you move to Florida. Then, take a look at our tips about the best places to buy a house in Florida. How to make a list of the best places to buy a house in Florida? Firstly, you need to find a safe neighborhood. If you move with children, schools and kindergartens are an important factor too. Secondly, you need to choose a neighborhood with a bright future. This means that the number of residents is growing steadily there. It shows that people recognize the potential of the place. Then, find out what the job opportunities are there at your possible new place of residence? Can you earn a living which is enough for a decent life? Are there any sports facilities and green areas? People need to relax, take a nice walk or do some sports. Finally, the houses need to be affordable. Although we don’t like it, finances are a crucial factor. You have to know how to calculate the moving costs too. Don’t forget about them. We have done some research for you. Hopefully, you will find what you want among the places we have chosen. Just read on. North Florida is much different from Central and South Florida. Unlike in other parts of the state, tourism is not the only industry here. Educational centers are highly-developed. Besides, you can find a job in agriculture, military services or finances. It is the biggest city in the US and the most populous city in Florida. Jacksonville is the heaven for all those who love greenery and parks. It has an extraordinary park system famous for its uniqueness. Also, there are lots of places to enjoy different forms of art. When it comes to job opportunities, the most developed industries here are tourism, banking, and health care. 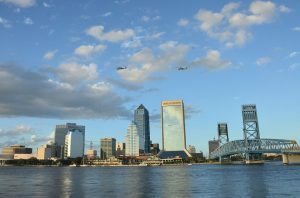 Jacksonville is the biggest city in the US and the most populous city in Florida. Welcome to the state’s capital. The first thing you notice about this city is its highly developed educational system. Unsurprisingly, it is very convenient for families with school children. Besides, students and scientists interested in various researches can find their cup of tea here. This is why we think Tallahassee deserves to be on this list of the best places to buy a house in Florida. Here is a city with a low cost of living. This makes it attractive for all those who are planning to move. On the other hand, the job market is slightly weaker and needs improvement. It is the city of the University of Florida, which makes it an excellent place to get the education. Central Florida is a bit different from the North. The economy here is changing and other industries besides tourism have started to emerge. Here are some cities in this region you might consider for your move. Be one of those numerous people who move to Tampa every year. First of all, education opportunities here are numerous and of high quality. This makes Tampa ideal for families with children. In addition, the job market is satisfying since some major corporations have their head offices here. 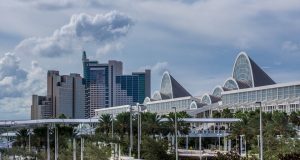 Making Tampa your new home is the right decision. Orlando is the heart of Florida. With numerous international companies, it is an industrial center. The unemployment rate is decreasing, and the number of job positions is increasing. There are an excellent health care and a vast number of private and state schools, colleges and universities. So, grab this opportunity. This might be a perfect place for you. Orlando is the heart of Florida. Kissimmee is one of those cities which offer a high-quality life at an affordable price. To start with, you can choose among a vast number of jobs at Kissimmee job market. Then, there are a lot of places for entertainment, outdoor activities, and sports facilities. What’s best, you get all these for an affordable amount of money. What else could you ask for? This is the region of Florida people most often choose for their new home. It is very popular because some of the best beaches in South Florida are in the vicinity. In addition, there are various career opportunities, tourist attractions, sports facilities, and educational centers. Miami Beach is one of the most modern cities in the world. It is a perfect mixture of places to enjoy and party on one side and family-oriented activities on the other. The weather is pleasant, warm and sunny, which is also an advantage. To all those that decide to move here, movers in North Miami Beach are there to help. A reliable helping hand is what you will need. 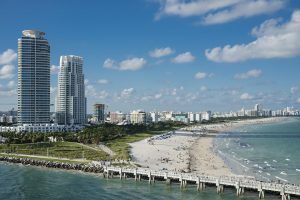 Miami Beach is a perfect mixture of places to enjoy and party on one side and family-oriented activities on the other. This is the city for all of those who want high-quality education or a job in one of the innovative companies situated here. Apart from this, sports lovers will be happy to enjoy available sports facilities. The steady expansion speaks of the city’s wish to improve itself and attract people to move there. So, if others have recognized its potential, what about being one of them too? This is one of the wealthiest cities in South Florida. Developed companies offer jobs to its residents, so earning a living here is not a problem. If this is what you want, start searching for a house to suit your taste. The move won’t be a problem. Boca Raton movers are always there for you. These reliable movers have experience in the field and can move your belongings smoothly and stress-free. This is one of the best places to buy a house in Florida, but only for those who can afford it. To buy a house here, you need more than half a million dollars. However, living here is worth paying so much money. Firstly, you can get educated at The University of Miami. Secondly, numerous large companies employ a high number of people. Finally, there are numerous places for entertainment and leisure activities.